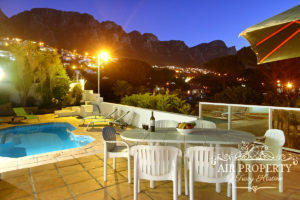 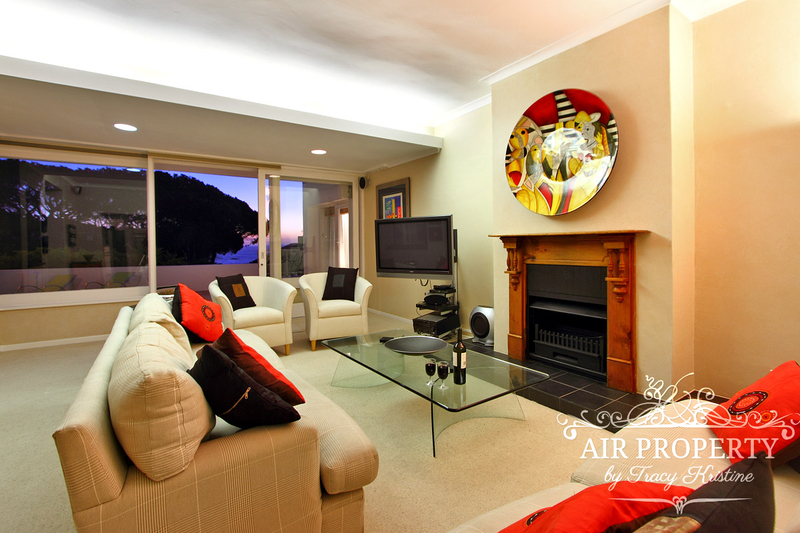 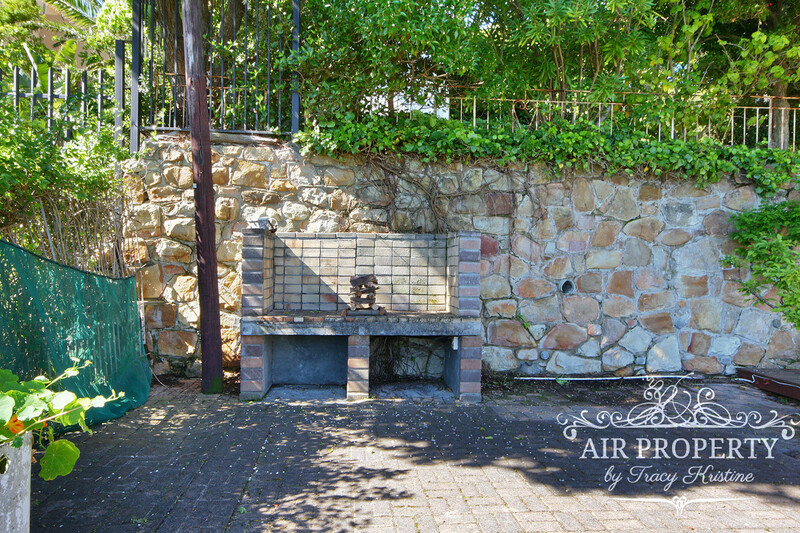 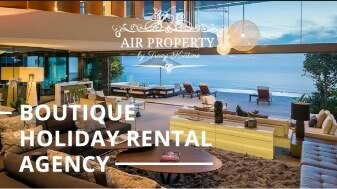 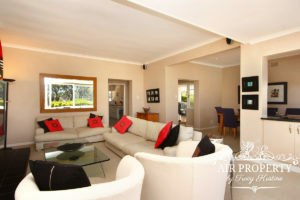 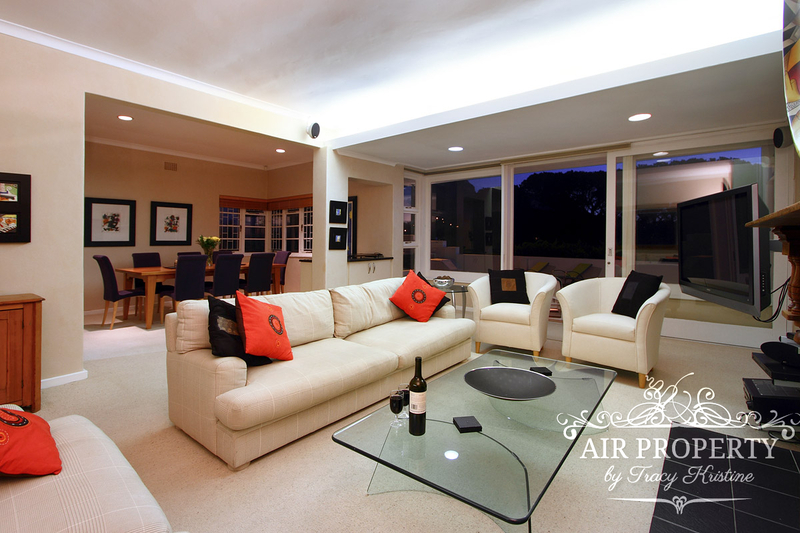 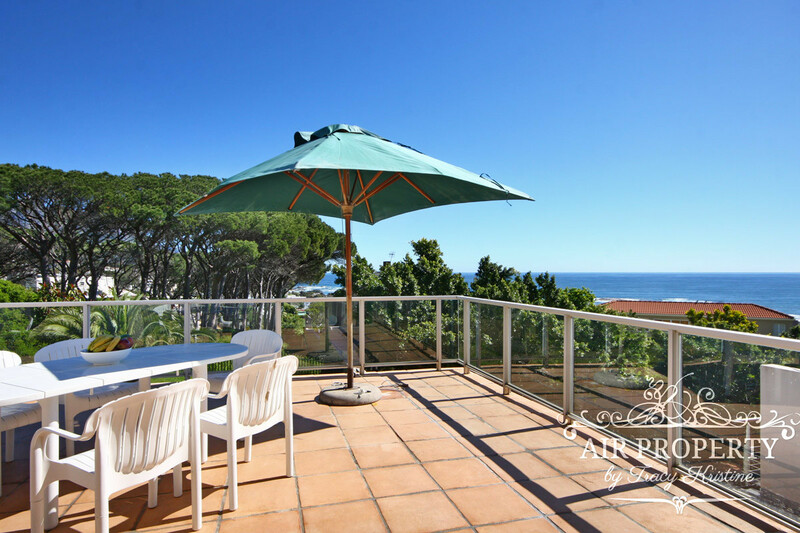 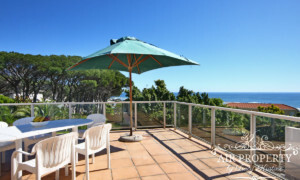 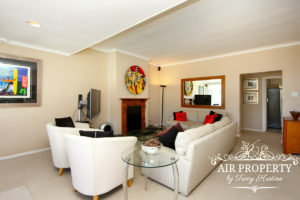 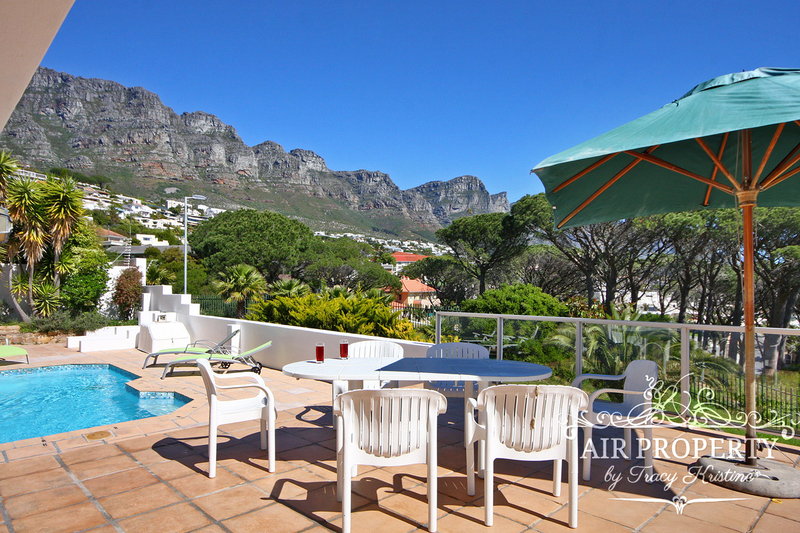 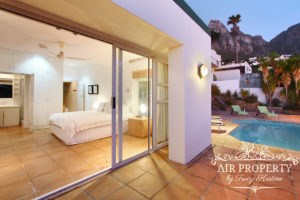 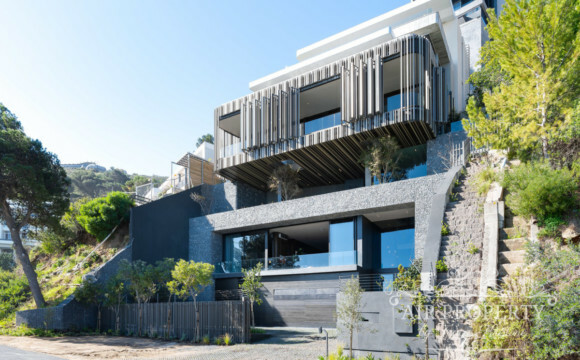 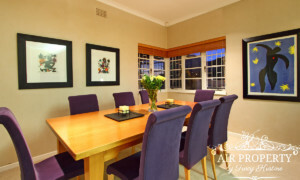 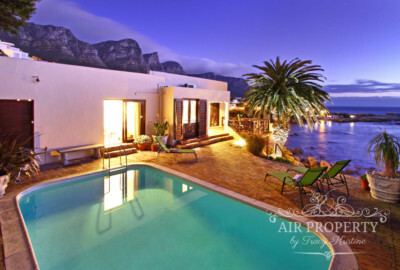 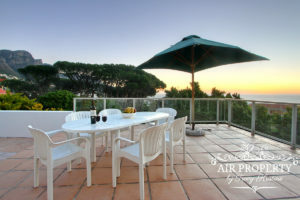 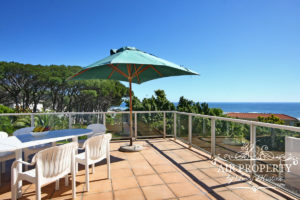 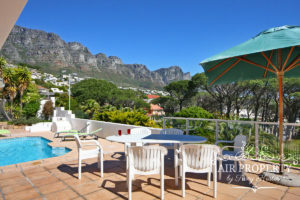 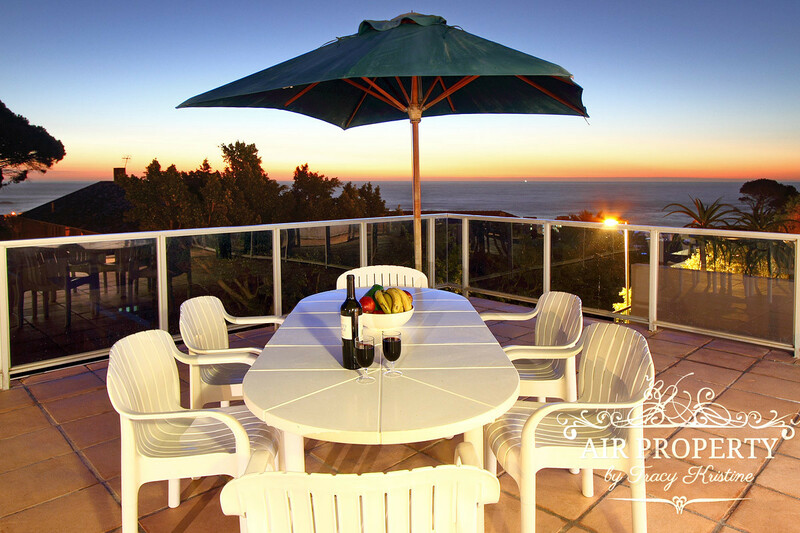 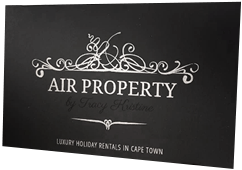 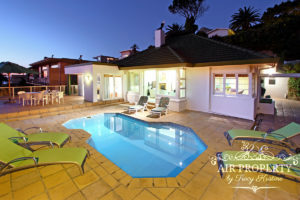 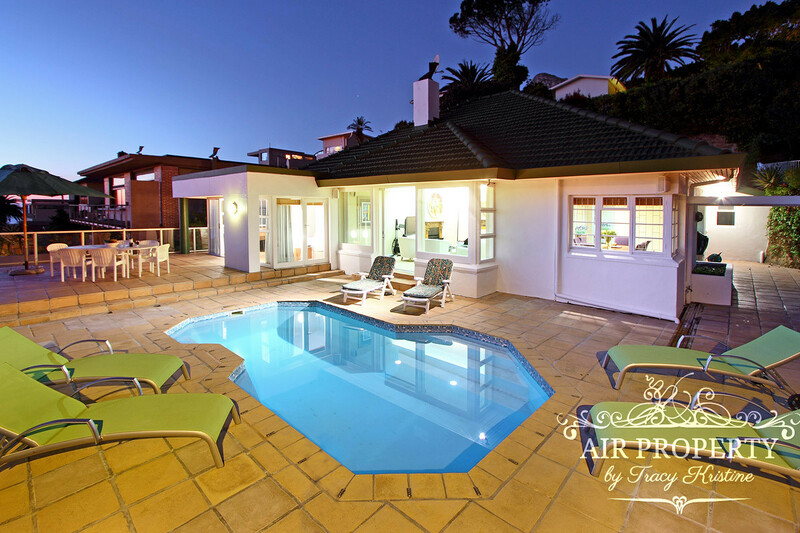 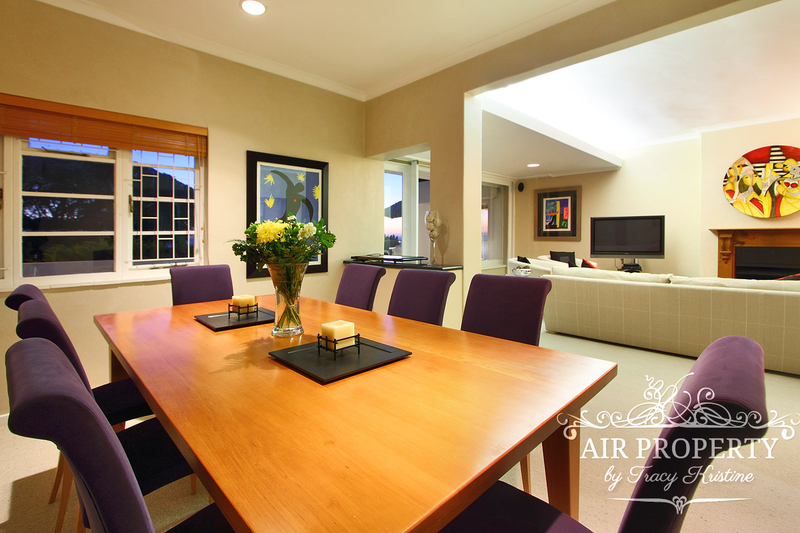 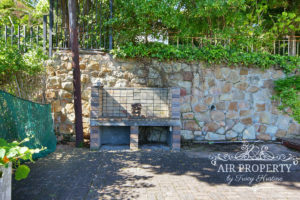 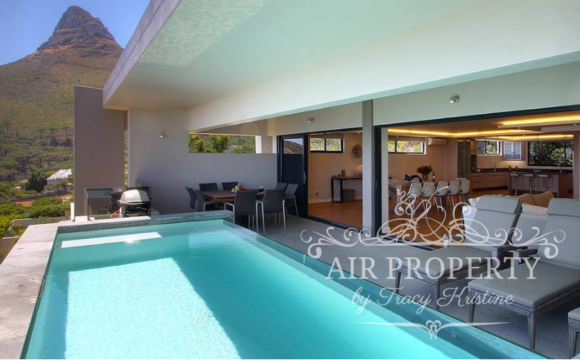 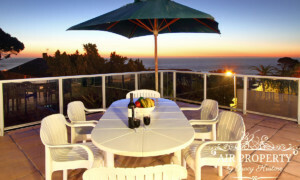 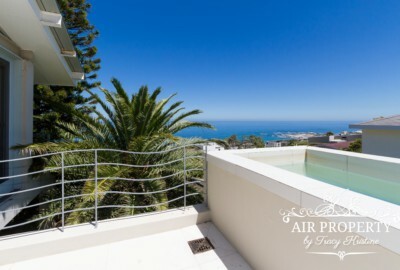 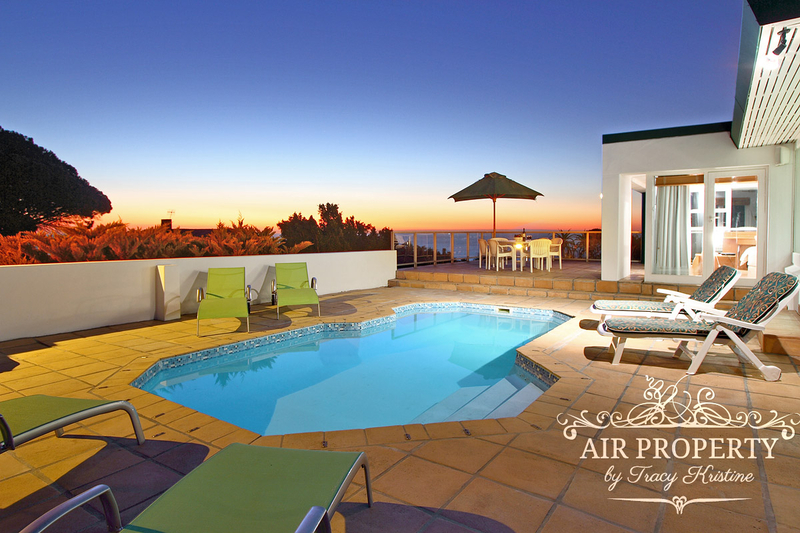 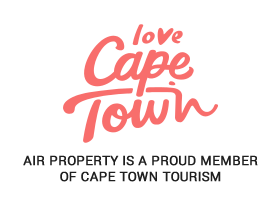 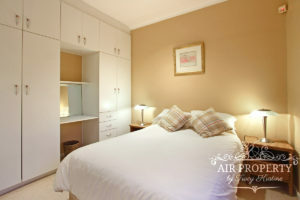 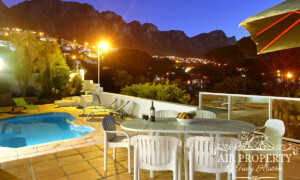 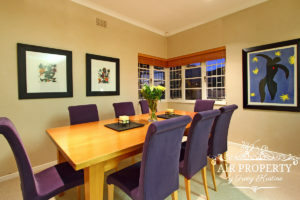 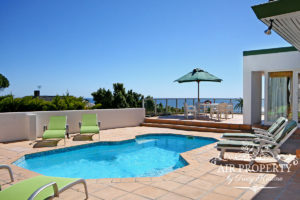 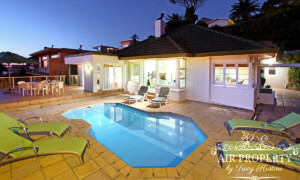 3 Bedroom Holiday Villa in Camps Bay. Alnwick Rose is a cosy three bedroom property in the much sought after Strathmore Road. 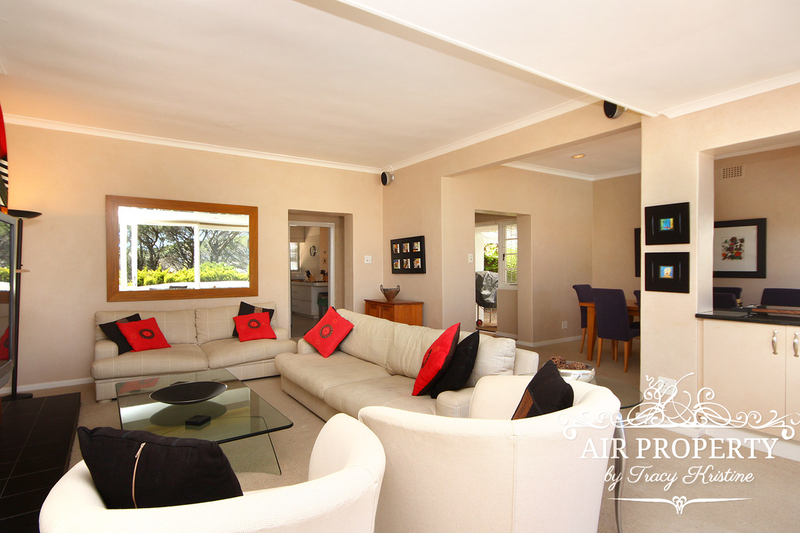 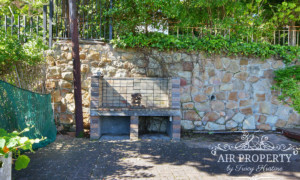 Situated at the end of a quiet cul-de-sac, this secure villa offers access directly via the garage, which has parking for 1 car. Leading from the garage, a staircase leads up to the passage way between the bedrooms. 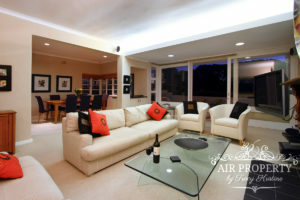 At the front of the house is the open plan lounge and dining room. From here you can step out onto the main balcony which features a lovely outdoor area and the swimming pool. 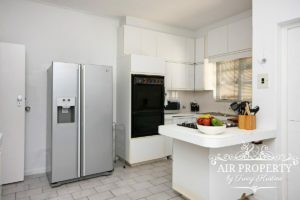 The kitchen is set at the back of the house. 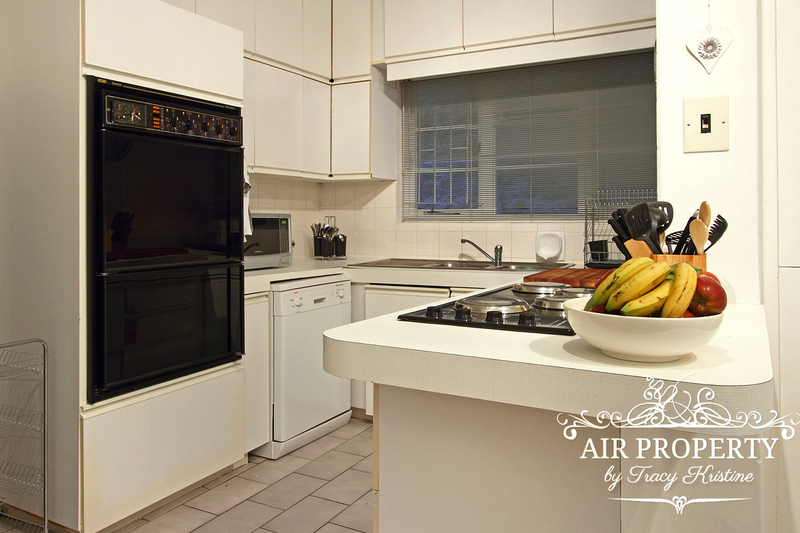 Leading off the kitchen is an additional room, suitable for the family traveling with a domestic or au pair. 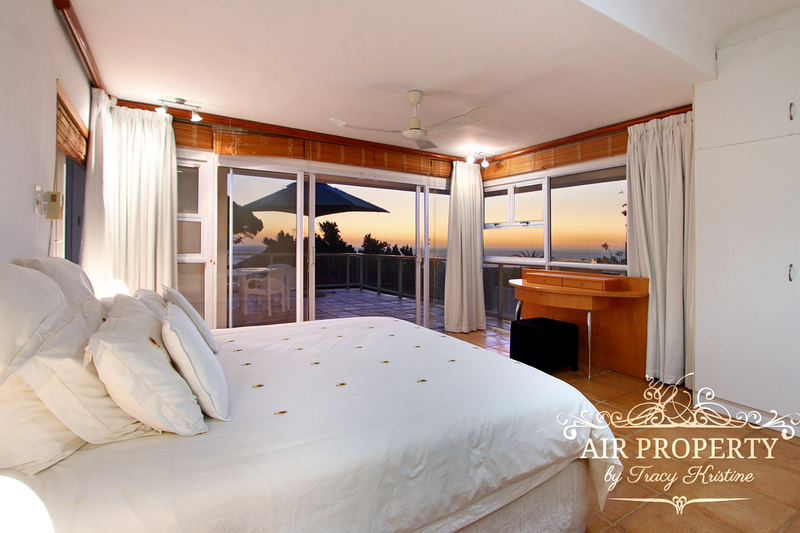 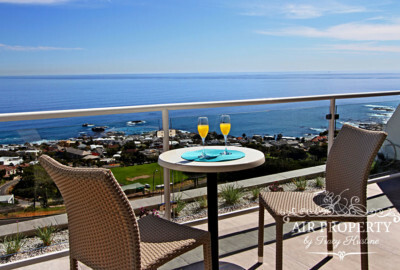 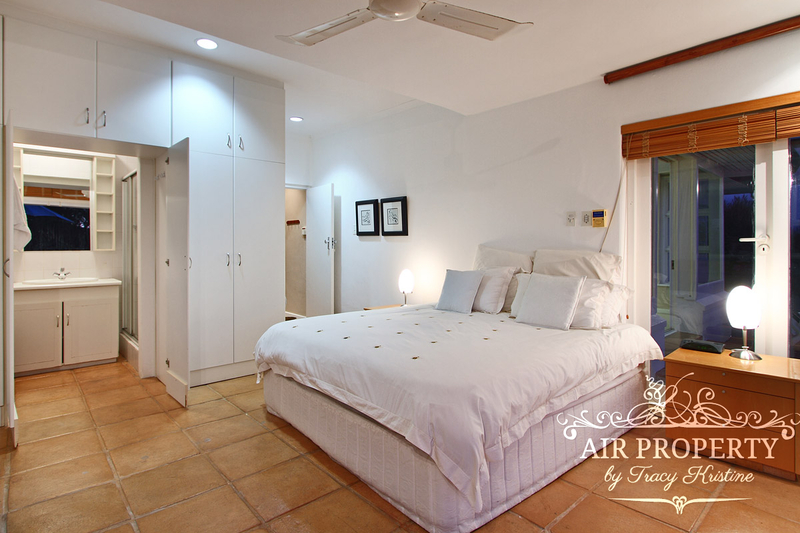 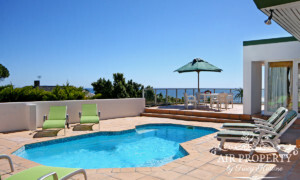 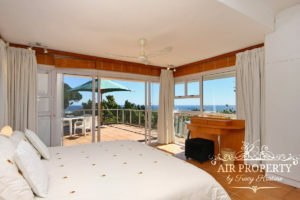 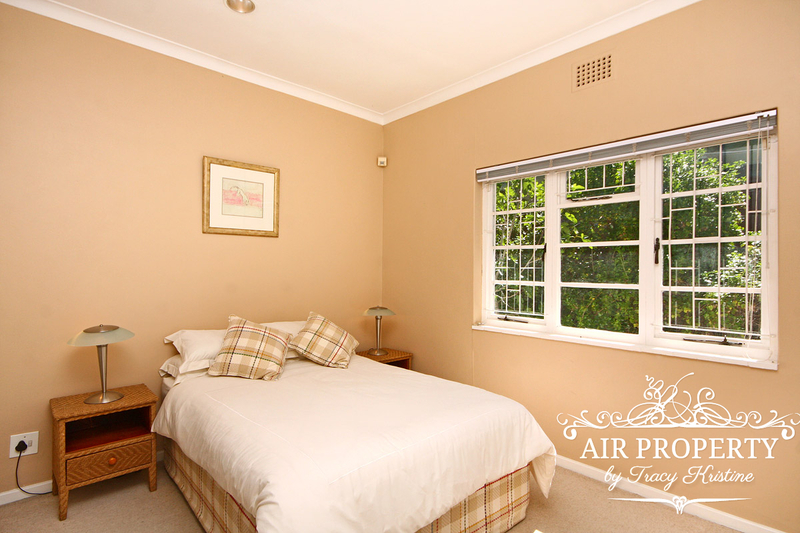 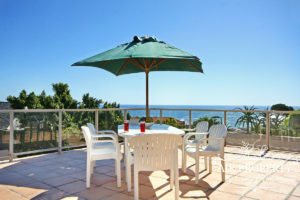 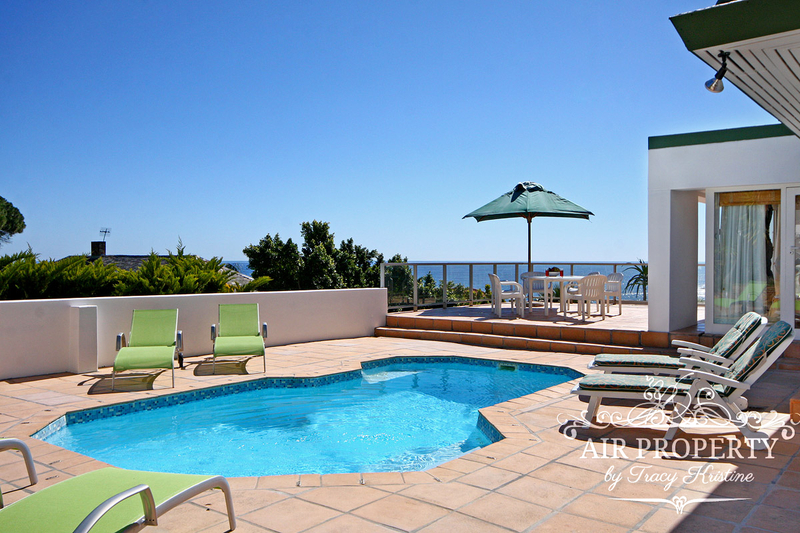 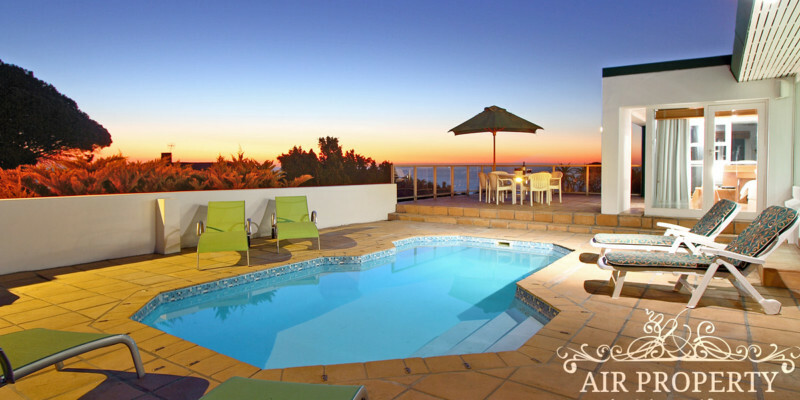 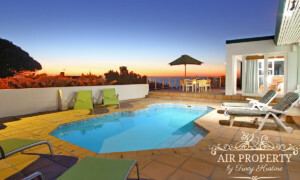 The air conditioned master bedroom overlooks the main balcony with pool and sea views. 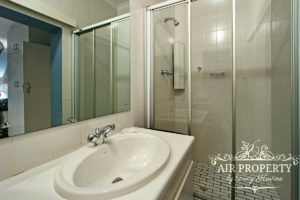 There is an en suite bathroom with shower and bidet. 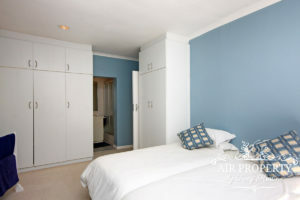 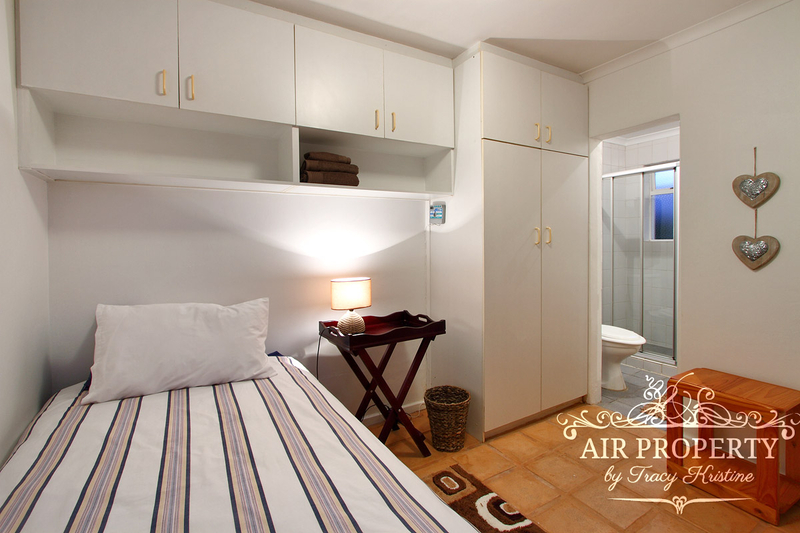 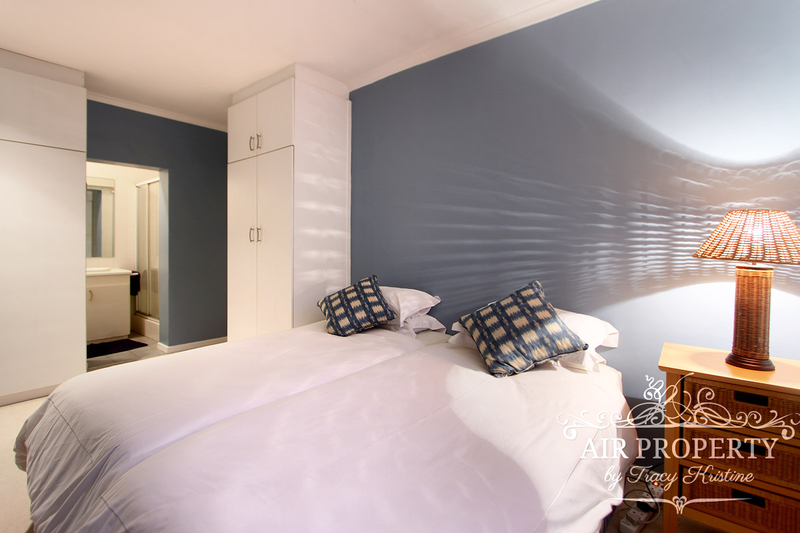 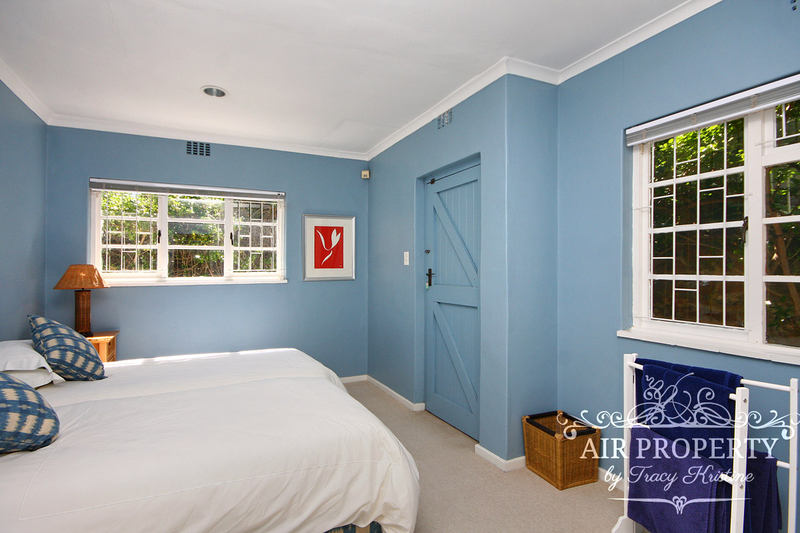 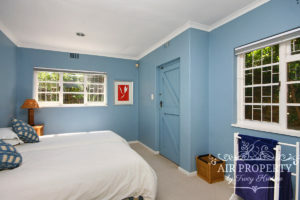 The second room is styled in shades of blue and also has an en suite bathroom with shower only. 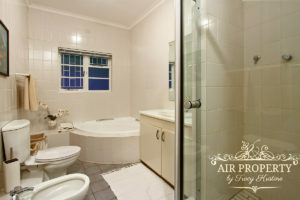 The third bedroom has a dedicated bathroom across the hall, which has a spa bath, shower and bidet. 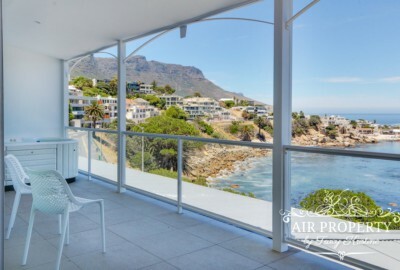 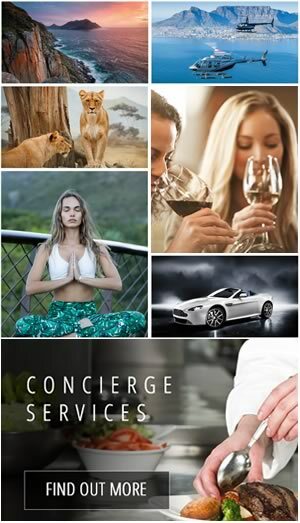 This home-away-from-home is a lovely option for the budget conscious traveler looking to enjoy a tranquil retreat in beautiful Camps Bay.